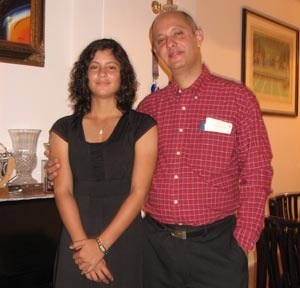 Firdaus Shroff, father of teenage Indian tennis star Kyra & under-13 national football player Porus has launched his own Sports Consultancy service to guide parents on how to convert a sporting dream into a reality for their wards. Having spent an enormous amount of time developing relationships and evaluating training schools in India and abroad for his own kids, Shroff is well equipped to share his knowledge with parents hoping to make the leap from club and district level players to the rigours of actual match play. The amount of time spent in the training of Kyra and Porus has been an “education in itself” said Firdaus in an exclusive chat with TheSportsCampus.com. “And having myself been trained in table tennis, cricket, badminton and volleyball, there is an experience base that parents can just tap right into”. If his performance with his own children is any benchmark, there is no doubt that Firdaus Shroff has the right balance of knowledge and practical experience to help others too.